Anyone from small businesses up to large companies that need greater insight into mobile workforce operations. 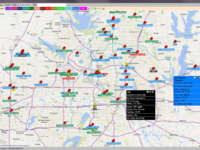 Any company that would like to track there fleet vehicles in real time. Shadow Tracker Reviews Recently Reviewed! we use it daily to track our techs and confirm locations with customers. Pros: We are able to locate our technicians quickly for where ever we are. I can check from my phone and track 14 vehicles, their speed and get alerts when they arrive on site. Cons: They do not have it set up to work on my mac. I have to use a windows based machine to get reports. Overall: we are able to optimize our drive time and re-route techs if need be to emergency calls based on proximity. Do not waste your money here!!!! We used this service for over 4 years, and then when their old unit stopped working, they sent us a new unit. We paid them 4 months in advance and full price for the new unit. The new unit broke after about one month of use. I informed them that I wanted them to send me a new unit. Their suggestion to me was for us to send it back to them, pay all freight incurred as well as all fees to have it repaired. Overall: We no longer desire this service, and hope you can understand. Please understand, when their old unit stopped working, they sent us a new unit. We paid 4 months in advance and full price for the new unit. Awful service devices cheaply made and DO NOT WORK. Cons: I ordered this software about a year and a half ago. One device never worked and the other device quit working after 4 months. The company will Make you just thru hoops to try to return the device and offers little to no help on resolution. They will continue to bill you when you have no working devices and you can never talk to anyone that has answers. They have two separate companies that deal with the technology and the other with billing as to protect themselves from any type of account resolution. This is the worst company I have ever dealt with in response to customer service and supplying a device that actually does what it is supposed to do. Overall: Absolutely no benefit. The devices didn't work as advertised and similar reviews confirm my concerns. Pros: The pros about this company is that the system worked for a bit. Cons: The issue I have is not with the way the software/hardware works, but with the kind of costumer service this company "offers". I've called a good 20+ times and I've only been able to talk to them twice with 1hr+ wait times. And every time I think I've solved the issue another surfaces inmediatly. Now, they said they would call me back some time after the last time I talked with them and 1 week later STILL no call back with the issue at hand. So I have tried calling them countless times again of course to no success. This is by far the worst costumer service experience I've had with a company. Comments: This shadow tracker system DOES NOT WORK PERIOD! Sales teams does not disclose the fact that IT DOES NOT WORK WITH Mac OS! The system does not work with Mac based systems so if you have a Mac keep shopping to avoid disappointment. For example, we are a service based company with trucks. On one day truck goes to service call for 1hr. and is shown properly on software except number on address is incorrect. Job incomplete. Must return next day to complete the job. The next day the same truck returns to the exact same address BUT in the tracking software it shows truck as being in a completely different address/location (approx 1/4 mile away)!!! Yes. Confusing!!! After several reloads same exact thing!! It constantly shows truck in the wrong location, travel path shows trucks B-lining path through the back of people's yards (not on streets). 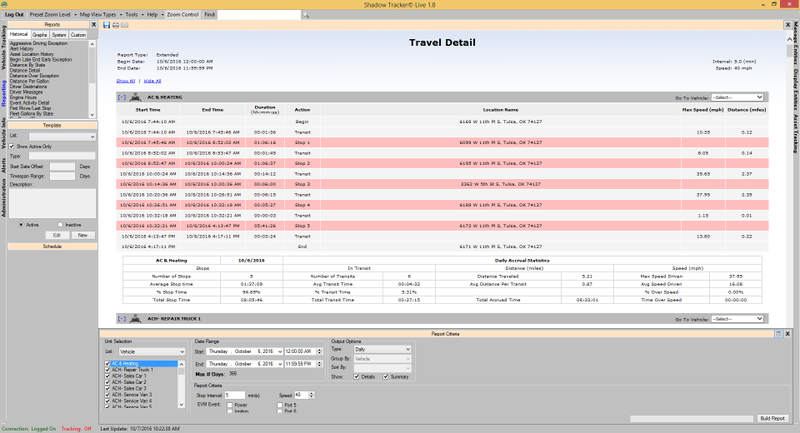 The Shadow Tracker software also falsely shows stops with address revisited later in the day! MORE CONFUSING and FRUSTRATING!! Click on the stop only to find it gives you the wrong address and street!!! Also, installation is not straight forward and a challenge and there is very little support! After I discovered these problems I contacted customer service and explained the problem. This took several attempts and an email with no response. Finally I was able to speak to a customer service rep. After the my problems were fully and calmly explained, I requested a full refund for their lame product that just does not work. Their answer was excuses and a resounding, "NO REFUNDS". Do not waste your good money and your time on this tracking device and this company -- completely worthless! 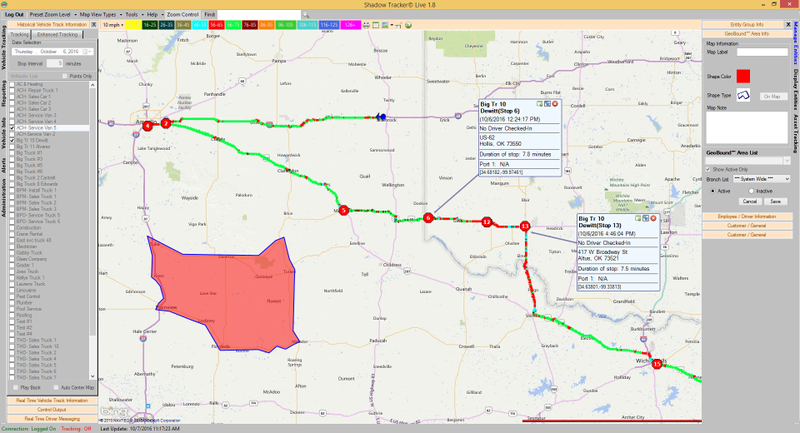 Pros: Shadow Tracker provided a cost-effective way for us to monitor our small fleet. The information is easy to digest. The quick view of driver speeds on the map, using colors to show speed ranges, makes it easy to get a snapshot of both routes and driving behavior. You can track stops based on your desired intervals. 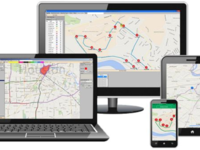 Adding Geofences allows alerts related to designated areas and can provide a sense of security when vehicle are parked for the evening or weekend. 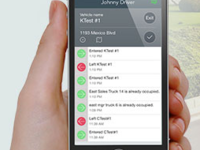 The phone app is a great feature as well, allowing you to track drivers on the go. Cons: The layout feels a bit dated and user interface isn't the most intuitive. Overall: Since we pay per vehicle, Shadow Tracker offered a solid, affordable way to track our small fleet. We have considered adding trackers to additional vehicles as well since the tracking and storing of information requires no thought and is readily available. Comments: I am with a large roofing company, Mandal's, Inc. Advance Tracking has been such an asset to our company. 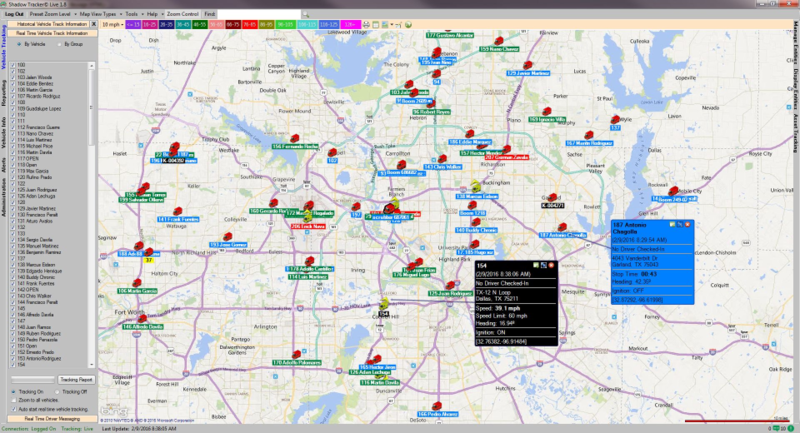 We are now able to keep track of all of our fleet vehicles on one computer screen. 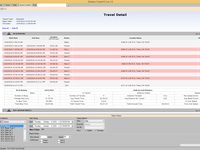 It has also given us a big advantage in keeping track of man hours, by printing out the detailed reports, you are able to see how long a person has been in a company vehicle, where the vehicle has traveled, and when that vehicle is parked in the evenings. 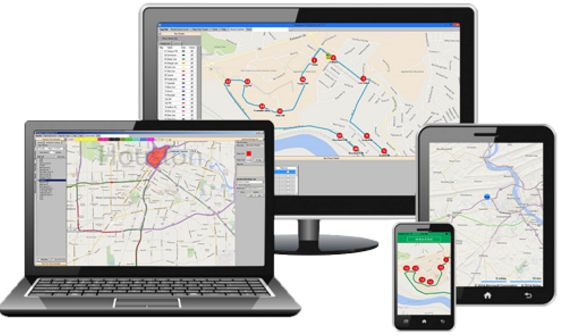 This technology is a wonderful resource that makes you feel you have more control over keeping up with your employees and vehicles. Thank you so much for your review! Please Feel free to contact us any time we can be of assistance. Pros: Free equipment but read the fine print! Cons: The tech support, the user interface, and the contract they lock you into. This is a small company with 30 minute wait times for tech support. The user interface is sub par and it is NOT web based. You have to download the software onto each computer. Even though they ship you a tracker you have to use it! You cannot send it back or alter your contract. Overall: We should of went with another tracking software just terrible service and terrible support. Will not recommend to anyone no matter what. Very poor and unacceptable customer service in a every department. Probably have so many complaints they are defensive from the start of the conversation. Pros: I spent weeks looking at gps tracking systems, before I found the shadow tracker. After reviewing the demo with thier salesman I saw more features than I thought I would ever use but, it still looked very easy to navigate. The system updated faster than anybody else I talked to and the price was much lower than I expected. Cons: to get the best price they did want me to sign a 3 year contract, and it took 3 weeks to get the system. 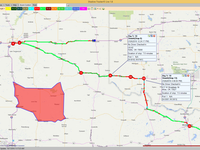 Overall: I would definatley recommed this system to anyone lookign for a gps tracking solution. Cons: no representation outside of Sugar Land TX. Anywhere else in the country you are on your own. The units may not work, you have to send them back, they examine them and always blame the mechanic that installed them. Look out for the 3 year service agreement and the huge cancellation fee regardless of whether thier product works or not. If you are located within driving distance of this company, it may make sense to work with them but if not...think twice!!! Overall: I would not recommend ATTI as a tracking service. My experience with them was a desaster. I am sorry you had a poor experience with your system. We try to support our units remotely, however if hardware is installed incorrectly the only way we can support the unit is to have it returned and run full diagnostics. Most of our customer do the installation themselves, but we have a nationwide network of approved installers that photographically chronicle and verify that installation is done correctly, but the service is extra. Comments: Initially ordered 3 units as an experiment, but have just ordered more. They have helped us control expenditure by knowing where our staff are at, reducing the 2 hour 'lunch breaks' and we can now see who of ours are driving excessively fast. Its a reliable & practical way to control your drivers bad habits. Thank so much for the review! We are always happy to hear about the positive impact we can have for our customers. Comments: Read contract well!! They are sneeky! Their contract will renew automatically and it is difficult to get out of. Their tracker ruined a Body Control Module in one of my trucks and was messing up the electrical devices on another. Also they drain the batteries on all the vehicles. Definitely find a different GPS tracking service provider. If the units a installed correctly they should not have any interference with your Body Control Module. 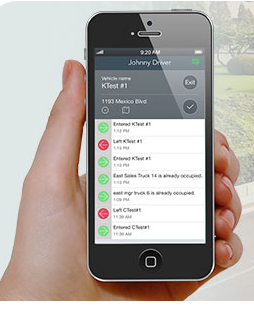 The system simply draws power from your truck much like any alarm system, or navigation device. If the installation was done incorrectly we cannot control the outcome. I am Sorry it you were unhappy with the service agreement renewing it is a common occurrence in telecommunications. Thank you so much for your review! Please feel free to contact us any time for assistance or recommendations. Comments: They are not very nice to deal with if you want out of the contract. I was a loyal customer for 4 years then the system stopped working. they told me I need new equipment and really put it to me then. I was told a one year contract and my bad didn't read it all the way through, well its 3 years and they want full price to get out of it. CFO will not budge at all. I will never recommend or support them in any way. they just want your money and the customer support is terrible.